Some of us are a little, um, meat challenged. It’s true — even the most seasoned chef is prone to overcook meat at some point. It’s an unfortunate occurrence; however, slaying the hell out of a beef tenderloin is a total event that leaves dinner guests believing you’re Julia Child incarnate. But, seriously, you can slay that tenderloin. Yes, you can. And now that the holidays are upon us, it’s time to bust out your skills. It’s super-decadent and may seem a bit intimidating, but mastering the art of perfectly roasted beef tenderloin isn’t nearly as hard as it sounds. When you keep things simple and use quality ingredients, it’s easy to create a meal that will totally wow everyone who shows up to your dinner party. 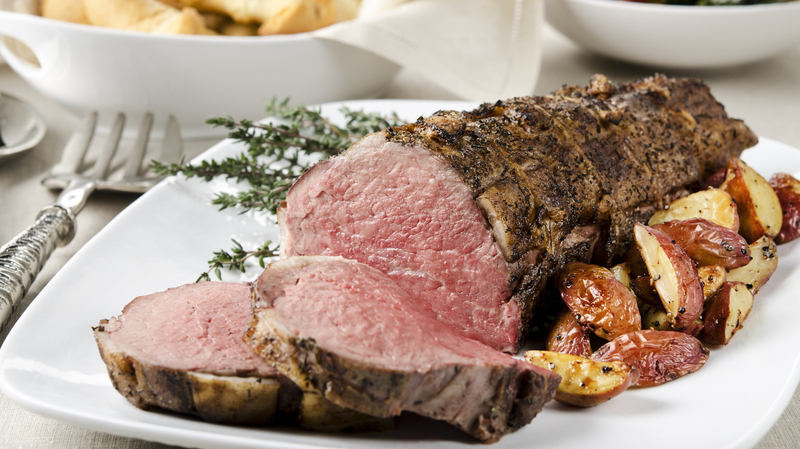 This roast recipe is delicious as is or with a sauce of your choosing. If you happen to have leftovers (which you probably won’t after everyone is done devouring your creation), beef tenderloin makes for a great steak sandwich or salad too. The day before serving, examine your tenderloin and trim off any excess fat or tendons. Using a mortar and pestle, grind together the garlic, salt, pepper, rosemary, and thyme, using a little olive oil to smooth it along. Rub this mixture all over the tenderloin. Cover and refrigerate 24 hours. 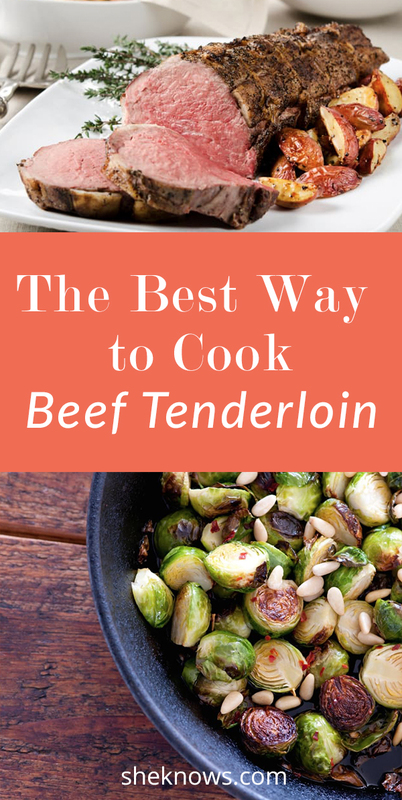 Remove the tenderloin from the refrigerator an hour before roasting and let it come to room temperature. Preheat oven to 400 degrees F.
Tie up the tenderloin such that it is even in thickness, tucking up the thinner tail if necessary. Insert a probe thermometer into the thickest part of the roast and place in a shallow roasting pan. Roast 35 to 45 minutes, or until the internal temperature reaches 120 degrees F. Loosely cover with foil and allow to rest for 15 minutes before carving. And that’s it. You’re done! Slice and serve. More: The Latest Starbucks Drink Involves Both Beef & Pepper…Yum? And the perfect side dish for beef tenderloin? 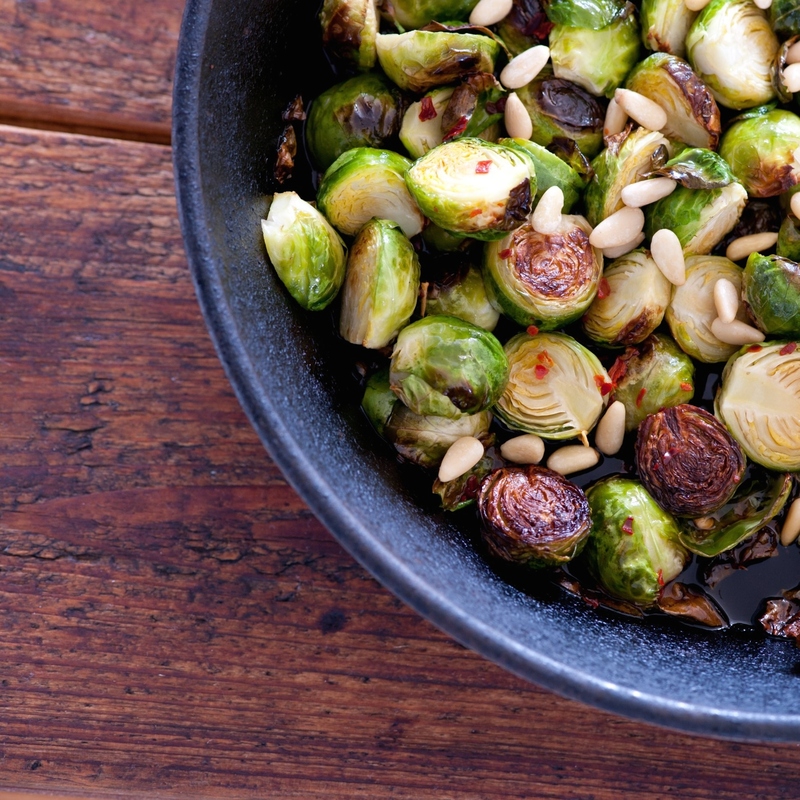 You guessed it… Brussels sprouts. Place the Brussels sprouts in a baking dish. Sprinkle with salt and vinegar and toss the sprouts around. Repeat with the olive oil. Roast for 30 minutes, tossing several times during the cooking process. Sprinkle on a little more kosher salt just before serving. Originally published December 2008. Updated November 2017.